UK-based FabRx is developing and testing a 3D printer to create personalised pills (they call them printlets) on site at hospitals. The printer could solve a major problem. Most medicines are available in set strengths and sizes. This makes it difficult to customise pills to patients’ individual needs. This is especially problematic with children. Young patients sometimes receive too much or too little medication because only adult pills are available. 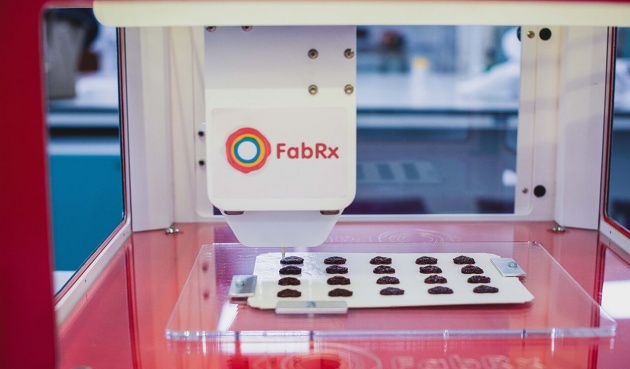 FabRx is in the process of selecting more beta test users.Its design is modeled on a 3D candy printer developed by Katjes UK – Magic Candy Factory.